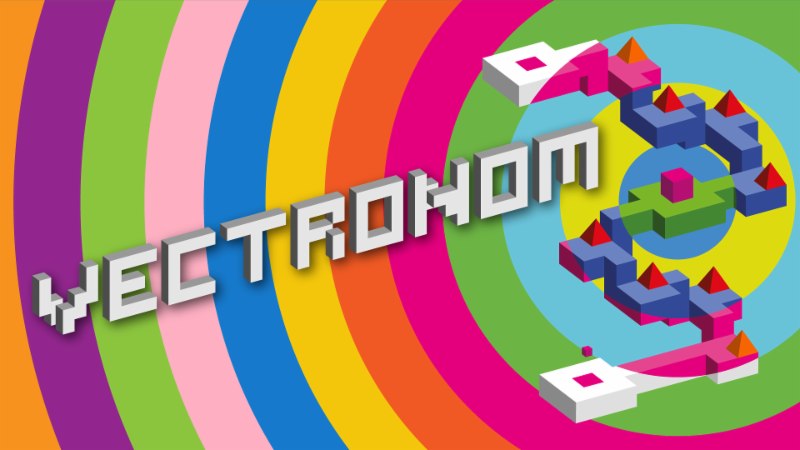 Vectronom involves memorizing patterns and solving environment-specific riddles, all while moving a hopping cube to the beat. To add to the fun (and challenge), obstacles change in sync with music. It all sounds colorful and mad, promising increasingly difficult levels that challenge player’s three-dimensional thinking. The game features a challenging single-player campaign. You can also play with friends via a local multiplayer mode, with a drop-in/out mechanic. Each level features original electronic beats and a colorful, dynamic art style. There’s also a level editor so you create your own rhythmic puzzles to challenge the world. Players can take advantage of various alternate controller method to move more than their fingers – such as dance pads or MIDI instruments. As if that weren’t enough, you can even create your own soundtrack by hooking up to an analogue synthesizer via the headphone output and compose live music as you play along. This rare feature could make things very interesting for audiophiles out there. Vectronom has been recognized with multiple awards including Best Game at the Indie Arena Booth at gamescom 2018. Switch owners will soon be able to experience it themselves when it releases in the second quarter of 2019. In the meantime, check out the trailer above and let us know your thoughts. Which aspect are you most excited about?